Last night Stuart and I went to watch electro pioneers Kraftwerk bring their immersive 3D multimedia concert to the Royal Albert Hall in London's glitzy South Kensington for the first of their final three nights of their 2017 UK tour. 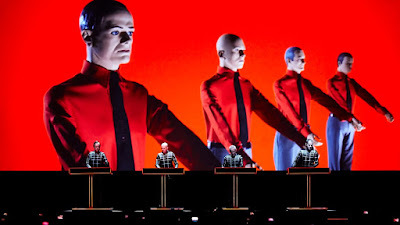 Bringing together music and performance art, Kraftwerk’s 3D concerts are a true Gesamtkunstwerk – "a total work of art". Kraftwerk was formed in 1970 by Ralf Hütter and Florian Schneider. They set up their electronic Kling Klang Studio in Düsseldorf, Germany, and by the mid 1970s had achieved international recognition for their revolutionary electronic soundscapes and their musical experimentation with robotics and other technical innovations. 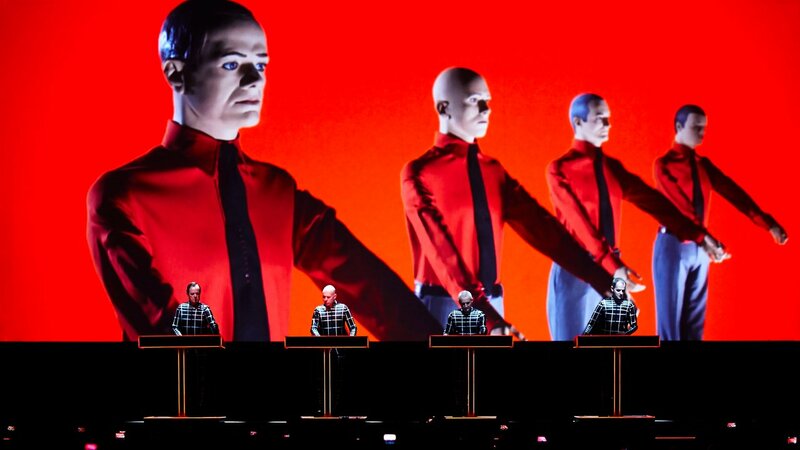 With their visions of the future, Kraftwerk created the soundtrack for the digital age of the 21st century. Their compositions, using innovative techniques, synthetic voices and computerised rhythms, have influenced an entire range of music genres, from electronica and synth-pop to hip hop and techno. We loved the show - the 3D was really astonishing - and the music beautiful, rhythmic, and joyous. Standout tracks for me were Computer Love, Radioactivity, Tour De France, and The Robots. Sadly no Showroom Dummies this time round but a boy can dream.